Kitsons are participating in the St Luke’s Hospice Make a Will Week which is running from Monday 16th to Friday 20th May 2016. 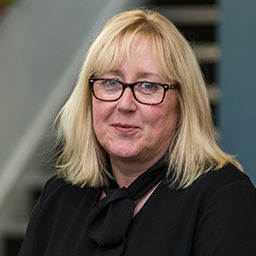 Marjorie Creek, one of our private client solicitors and a former palliative care nurse at St Luke’s, is giving her time free of charge to update or write Wills, in return for a donation to St Luke’s in support of her former colleagues. Last year the Make a Will Week raised £10,000 for St Luke’s. That’s enough in one week to provide specialist care to 10 people at home, giving them access to a variety of care including nurses, social workers, physio’s and occupational therapists. St Luke’s are urging people to take the opportunity to put their affairs in order, by making a Will and make a real difference to people in the local community at the same time. Simply contact us and make an appointment to see Marjorie Creek at our Plympton office at Ashleigh Way in Langage Business Park, between the 16 and 20 May. Making sure that you quote ‘St Luke’s Hospice Plymouth Make a Will Week’. We advise booking your appointment before the week commencing 16 May to avoid disappointment and ensure a time and day convenient to you.